Sunday Studio. Photo by Sean MacGillivray. Sunday Studio is MOCA’s free, drop-in event featuring art activities for makers of all ages and experience levels. The program includes family-friendly tours of the museum, art-making explorations, music, food trucks, and Toddler Town, a space with activities designed for small hands. For this Sunday Studio workshop, join artist and educator Michelle Antonisse in creating wearable pieces of art! Participants are invited to transform materials such as foam, wire, and plastic flowers into expressive objects such as hats, pins, epaulets, and other accessories that mirror or play with the maker’s identity. Sunday Studio is MOCA’s free, drop-in event featuring art activities for makers of all ages and experience levels. 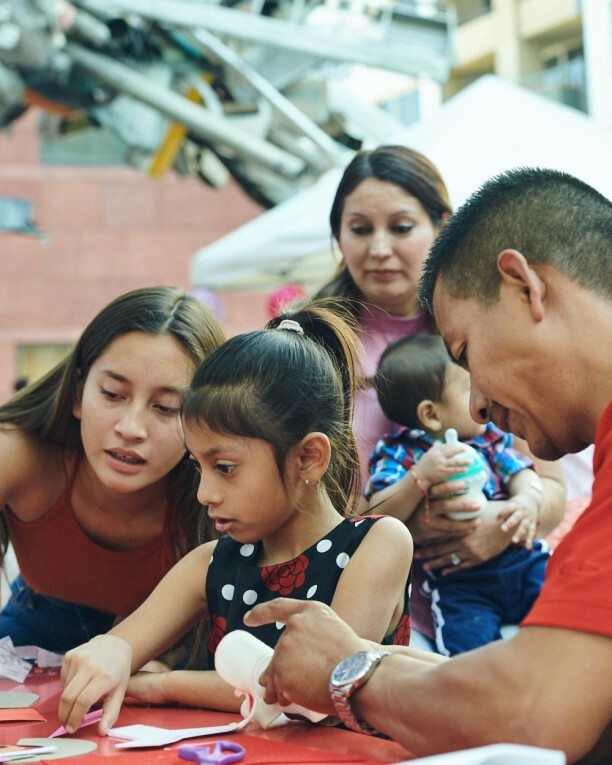 The program includes family-friendly tours of the museum, art-making explorations, music, food trucks, and Toddler Town, a space with activities designed for small hands.